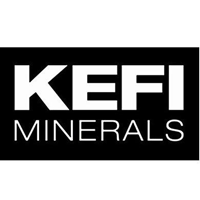 Shares of KEFI Minerals plc EPIC code: LON:KEFI has stepped up 5.26% or 0.1 points during today’s session so far. Investors have remained positive during the trading session. Range high for the period has seen 1.9 dropping as low as 1.77. The number of shares traded by this point in time totalled 3,155,603 with the daily average traded share volume around 2,522,171. The 52 week high for the shares is 5 about 3.19 points difference from the previous close and the 52 week low at 1.23 making a difference of 0.58 points. KEFI Minerals plc has a 20 SMA of 1.67 and now the 50 day SMA of 1.59. Market capitalisation for the company is £10.83m at the time of this report. The currency for this stock is Great British pence.Market cap is measured in GBP. This article was written with the last trade for KEFI Minerals plc being recorded at Tuesday, January 29, 2019 at 11:46:08 AM GMT with the stock price trading at 1.9 GBX. The stock price for GlaxoSmithKline plc EPIC code: LON:GSK has increased 2.28% or 32.8 points during today’s session so far. Buyers have so far held a positive outlook while the stock has been in play. The period high has peaked at 1471.8 dropping as low as 1442.6. The total volume traded so far comes to 1,972,398 while the daily average number of shares exchanged is 8,995,452. A 52 week high for the stock is 1648.8 which comes in at 212.8 points in difference on the previous days close and a 52 week low being 1179.39 a difference of some 256.61 points. GlaxoSmithKline plc now has a 20 simple moving average of 1509.45 with a 50 day moving average now at 1525.06. The market cap now stands at £72,918.02m at the time of this report. Share price is traded in GBX. Mcap is measured in GBP. This article was written with the last trade for GlaxoSmithKline plc being recorded at Tuesday, January 29, 2019 at 11:59:59 AM GMT with the stock price trading at 1468.8 GBX. Shares of AstraZeneca plc found using EPIC: LON:AZN has climbed 1.28% or 68 points in today’s trading session so far. Investors have remained positive throughout the session. The high for the period has reached 5421 meanwhile the session low reached 5322. The total volume of shares exchanged so far has reached 540,761 while the daily average number of shares exchanged is 2,540,352. The 52 week high is 6432.48 around 1107.48 points in difference to the previous days close of business and a 52 week low sitting at 4544.5 which is a difference of 780.5 points. AstraZeneca plc now has a 20 SMA of 5755.68 with a 50 day simple moving average now at 5975.36. This puts the market cap at £68,331.44m at the time of this report. The share price is in GBX. Mcap is measured in GBP. This article was written with the last trade for AstraZeneca plc being recorded at Tuesday, January 29, 2019 at 11:59:52 AM GMT with the stock price trading at 5393 GBX. The share price for Centrica PLC with ticker code: LON:CNA has increased 1.55% or 2.1 points during today’s session so far. Market buyers seem confident during this period. Range high for the period has seen 137.82 meanwhile the session low reached 135.1. Volume total for shares traded at this point reached 3,232,442 with the average number of shares traded daily being 21,290,184. The 52 week high price for the shares is 164.5 which comes in at 29.35 points in difference to the previous days close of business and a 52 week low sitting at 123.1 which is a difference of 12.05 points. Centrica PLC now has a 20 moving average of 135.91 and the 50 day simple moving average now at 137.17. Market capitalisation for the company is £7,818.63m at the time of this report. Share price is traded in GBX. Mcap is measured in GBP. This article was written with the last trade for Centrica PLC being recorded at Tuesday, January 29, 2019 at 11:59:50 AM GMT with the stock price trading at 137.25 GBX. The share price for Admiral Group plc with ticker code: LON:ADM has increased 1.36% or 28 points during today’s session so far. Buyers have so far held a positive outlook while the stock has been in play. The period high has peaked at 2095 and a low of 2059. The total volume of shares exchanged so far has reached 42,542 whilst the daily average number of shares exchanged is just 533,199. A 52 week share price high is 2138 around 73 points difference from the previous days close and putting the 52 week low at 1794.5 making a difference of 270.5 points. Admiral Group plc now has a 20 simple moving average of 2075.37 and now a 50 day simple moving average now of 2050.59. The market capitalisation currently stands at £6,080.22m at the time of this report. Share price is traded in GBX. Mcap is measured in GBP. 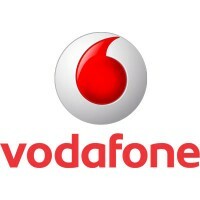 This article was written with the last trade for Admiral Group plc being recorded at Tuesday, January 29, 2019 at 12:02:44 PM GMT with the stock price trading at 2093 GBX. Shares of Aviva plc EPIC code: LON:AV has risen 1.2% or 4.9 points during today’s session so far. Traders seem confident during the session. The period high was 415.4 dipping to 410.9. The total volume traded so far comes to 1,711,840 while the daily average number of shares exchanged is 10,859,452. A 52 week share price high is 554.6 about 144.9 points difference from the previous close and the 52 week low at 361.8 is a variance of 47.9 points. Aviva plc now has a 20 SMA at 402.81 with a 50 day SMA of 397.65. The current market cap is £16,179.12m at the time of this report. The share price is in Great British pence. Mcap is measured in GBP. This article was written with the last trade for Aviva plc being recorded at Tuesday, January 29, 2019 at 12:03:37 PM GMT with the stock price trading at 414.6 GBX. Click ADM AV CNA GSK KEFI for the full archive.